Lay Marists, Kevin & Trish McGrory, keep up their tradition of recalling the Oct 29, 1824, even of Fr Etienne Declas joining Frs Pierre and Jean-Claude Colin at the presbytery in Cerdon, France. On that day Pierre Colin wrote to the local bishop saying 'Today the Society of Mary has begun'. 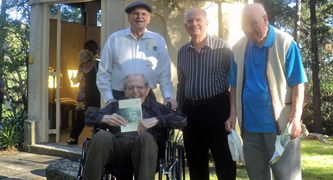 The McGrory's invite Brisbane-based Marists to join them each year at their Stafford home to celebrate this Marist anniversary. 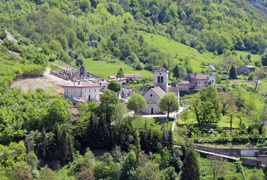 Above: The historic presbytery and church of St John the Baptist, Cerdon, France. 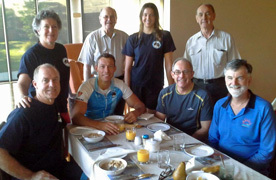 Below: Trish McGrory with Hayden Kennedy and Frs Gerry Hall and John Begg / Kevin & Trish McGrory. 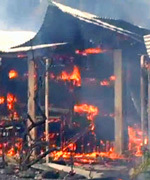 'Last Sunday we were devastated to see Nukutere College burn. The work of an arsonist. 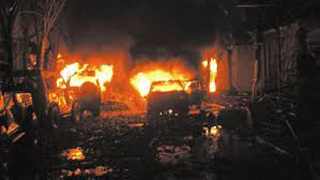 The photo shows that there was one fireman and a single fire truck fighting the blaze. I think we did get up to four. But you can see how late they were. 'Nothing like a disaster to bring out the best in your people. As I write this I have the catholic youth outside my window counting the collection they have made by running around the island. See also Bishop Paul's diocesan newsletter. Provincials, District Superiors, General Councillors, observers and staff gather outside the Emmaus Centre, Dublin, at the end of CS13. Superior-General, Fr John Hannan, is pictured far left and Australian provincial, Fr Bob Barber, front row, fourth from left. 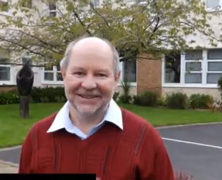 Dublin's international meeting of Marist leaders, CS13, has ended on Oct 25 with a 'Statement of Commitment', following two weeks of review and planning for the future of the Society of Mary. 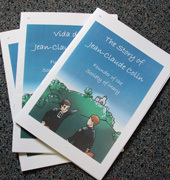 CS13's session on the Beatification Cause of Founder, Jean-Claude Colin, was reported to be especially engaging. 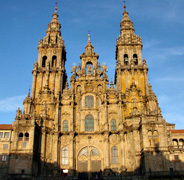 Santiago de Compostela / Romanesque church on the way. 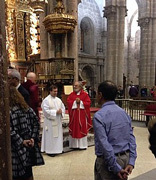 Australian Marist and walker extraordinaire, Fr Jim Carty SM, has completed his 800 km, 43-day pilgrim walk to Santiago de Compostela in Spain. Well done, Fr Jim! 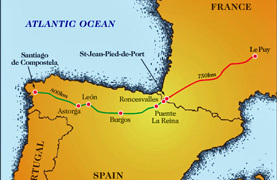 Beginning the classic 'camino' in St Jean Pied de Port in France in early September, 74-yr-old Fr Jim arrived at Compostela on Oct 23. 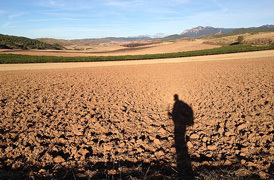 He has posted regular blogs and images of the epic hike - see below for a selection of his photos. 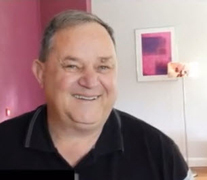 Fr Jim's comments have embraced colourful descriptions of pilgrims encountered along the way, helpful tips on cuisine, accommodation and walking gear, and in recent days prayerful concern for NSW's bushfire situation. 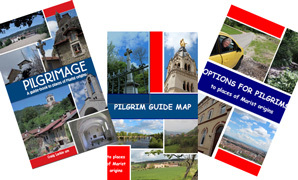 After a few days in Compostela he will move to Rome before spending further pilgrim time visiting the places of Marist origins in France. 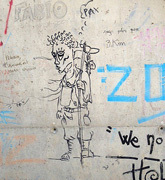 All material is available from the 'Resources' pages of the Colin web site. 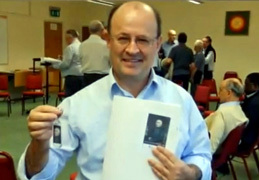 'On Oct 22 Vicar-General, Fr Larry Duffy SM, distributed samples of Colin resources to participants of the Council of the Society meeting at the Emmaus Centre, Dublin, Ireland. 'Provincials and District Superiors, as well as members of the General Administration, were presented with a folder of various resources downloaded from this web site. 'Each was also offered a USB storage stick loaded with over 1,000 of the site's files of leaflets, booklets, prayers and images. 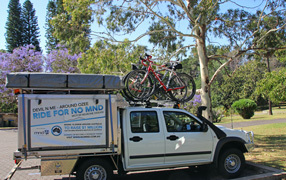 Deputy-principal of St John's College, Woodlawn, NSW, Kim Evans, with a team of co-riders and faithful canine companion 'Devil' have completed over 14,000 Km of their ride around Australia to raise funds for Motor Neurone Disease research. They are pictured (Kim seated, left) during a rest break in Sydney where they stayed with Hunters Hill Marists including long-time Woodlawn friends Fr Garry Reynolds and Br Terry Garrett. 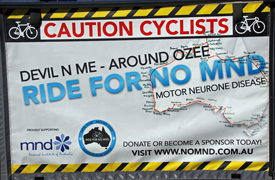 The team resumed their 15,500 Km ride on Oct 24 with one week to go before ending their marathon in Lismore, NSW. The team's fund-raising target is $1m. Visit the 'Devil & Me around Ozee' web site. 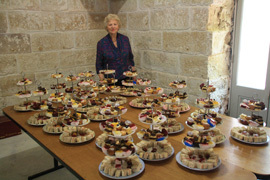 St Patrick's Courtyard Coffee Shop celebrated its annual 'sparkling high tea' on Oct 19 in the church crypt for a gathering of enthusaistic workers and supporters. Guests of honour were Sisters Judy and Jill De Montfort SMSM. Sr Judy founded the coffee shop in 2001, handing over its coordination recently to Val Fisher after more than ten years of service. 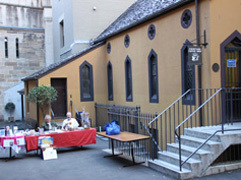 The coffee shop attracts patrons and volunteer workers from all parts of Sydney and beyond and is open six days weekly in the courtyard of the popular downtown city church. Marist Justice & Peace groups from Holy Name of Mary parish, Hunters Hill, NSW, the Marist Sisters and the Marist Fathers combined to host an afternoon event at the HNM parish hall on Oct 19. The afternoon was introduced by Sr Vivienne Goldstein SM and parish priest, Fr Kevin Bates SM. Keynote speakers were Prof Louise Newman from the Centre for Developmental Psychiatry & Psychology at Monash University, Vic, and Abdi Aden, Somalian refugee, arriving in Australia in the 1990s as a youing teenager.. 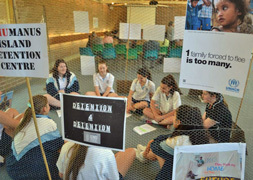 Girls from Monte Sant' Angelo school gave first hand reflections of their 'detention cage' experiences at school, simulating the plight of detained asylum seekers. 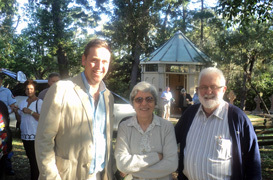 Pioneer Marist missionaries were remembered in a ceremony in the grounds of Villa Maria monastery, Hunters Hill, on Oct 15, marking the sesquicentenary of St Joseph's chapel, the first building to be erected on the historic site. 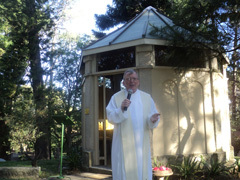 Historian and vicar-provincial of the Australian Province of Marists, Fr Peter McMurrich SM, presided at the ceremony attended by local Marists and friends, including some involved with the refurbishment of the chapel in recent times. 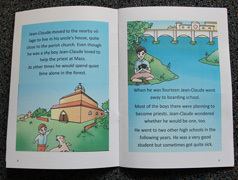 For Fr Peter McMurrich's leaflet, 'St Joseph's Chapel', click here. Above: Fr Peter McMurrich leads the ceremony / St Joseph's chapel. 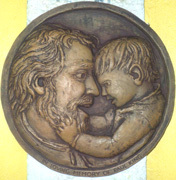 Plaques of St Joseph and Child Jesus / Blessed Virgin Mary honour the building pioneer brothers and all Marists resp. Plaque sculptor, Dan Dominguez, with Sr Grace Ellul SM and parish priest, Fr Kevin Bates SM / Frs Peter McMurrich, Paul Sullivan, Tony Kennedy and Kevin Stewart at the memorial of pioneer Marists once buried nearby at St Charles' church, Ryde. Below: Frs Garry Reynolds and John Hill (in chair), Br Charles Randle and Fr Jim Esler / Spirituality & Lifestyle participant, Br Berenado Petero, celebrating a birthday during the dinner which followed. 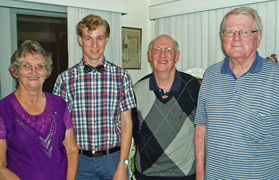 The dinner also served as a welcome to Spirituality Lifestyle participants. 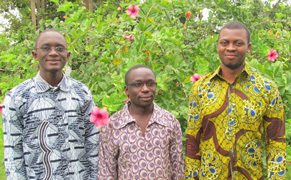 From the Marist Mission District of Africa Fr Albert Kabala SM advises that three young men have been accepted for the next international Marist novitiate in Davao, Philippines. We wish them every blessing for their Marist future. Five Australian Marists are amongst the participants and observers at 'CS13', the 'Council of the Society' held internationally every four years. 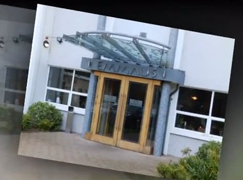 The meeting began on Oct 13 at the 'Emmaus' centre on the outskirts of Dublin, Ireland. Australian facilitator and research consultant, Dr John Honner, is also present with his wife Colleen. 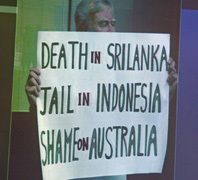 Significant anniversaries include two events of Bali bombings (2002 and 2005) as well as the hand-back of Uluru to its traditional owners in 1985. 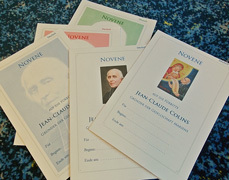 The work of Sydney art student, Noel Myaing, features in one of the most popuar items on the web site of Marist Founder, Jean-Claude Colin. 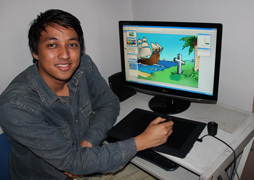 Burmese-born Noel produced sixteen images for the booklet illustrating the life of Fr Colin now in seven languages with more to be added soon. 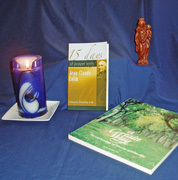 The booklets are among the 1,000 photos, leaflets and other resources available from www.jeanclaudecolin.org. 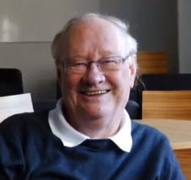 Marists, family and friends of the Australian Province of the Society of Mary mourn the passing of Fr John McMillan SM at Royal North Shore hospital, Sydney, on Oct 09, aged 86. He was a Marist for sixty nine-years and a priest for sixty-three years. After early involvement in secondary education, Fr John worked in parish and hospital chaplaincy ministries for the rest of his active life. His gentle and friendly manner was deeply appreciated by patients and families alike. 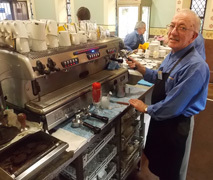 Fr John's good-humoured and uncomplaining presence will be sadly missed by many, especially the community of Montbel-Maryvale retirement centre, Hunters Hill, where he spent his recent years. The sight of him on his electric scooter will also be missed from nearby streets. May he rest in peace. To allow for family presence Fr John's Requiem at Holy Name of Mary church, Hunters Hill, will be on Fri, Oct 18, 10.30 am. Burial at Macquarie Park cemetery will follow. 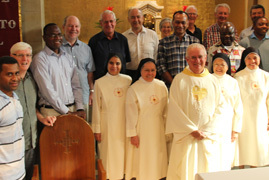 The Marist Asia-Pacific 'Spirituality and Lifetsyle' program for 2013 has commenced with an opening Eucharist at Holy Name of Mary church, Hunters Hill, NSW, on Oct 7. Nine participants have arrived from the Marist Oceania Province and the Marist Mission District of the Philippines, with two Oceanians still to come, delayed with visa issues. The 10-week course offers opportunities to reflect on a range of lifestyle issues, in the context of spiritual renewal and fraternal support, hosted by the community of Villa Maria, Hunters Hill. 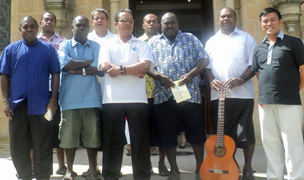 Above: Fr Lauro Arcede (Philippines), Oceanians: Fr Elie Bebesus, Br Berenado Petero, Frs Soane Patita Hautaufa'ao, Cornelius Giris, Lino Isileli. Below: Frs Mikaele Marisi, James Mokela, Petero Tagidrau. Team members: Frs Paul Sullivan and Pio Fong. 'I came across a memorial for Shingo Yamashita a 64 year old causality from Japan who died in 2002.. The Marist Sisters and fellow-members of the Marist Family mourn the passing of Sr Cora Bergin SM on Sep 28 at St Anne's Nursing Home, Hunters Hill, NSW, after almost 70 years of religious life. Born in Dublin, Ireland, in 1924, Sr Cora entered the Sisters and was professed in Aug 1944. Her main mission was in Fiji, a trailblazer in the first girl's secondary school in that country and part of the pioneer team to begin Catholic teachers' training in Fiji. Sr Cora also figured in the Marist Sisters' outreach to East Germany in 1997. Sr Fidelis McTeigue gave a memorable eulogy at the funeral liturgy at St Peter Chanel's church, Woolwich on Oct 03, before Sr Cora's interment at Macquarie Park cemetery. May she rest in peace. 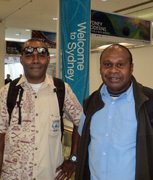 Fr Petero Tagidrau SM (Taveuni, Fiji) and Br Berenado Petero SM (Ovalau, Fiji) were early arrivals in Sydney this week for the 'Spirituality & Lifestyle' program to commence at Villa Maria, Hunters Hill, on Oct 07. An Initiative of Marist Asia-Pacific collaboration, the program will provide on-going formation and development opportunities for its dozen participants from Oceania and the Philippines. 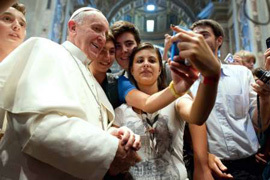 In his recent address to the Plenary Assembly of the Pontifical Council for Social Communications in Rome, the Holy Father, Pope Francis, urged the use of the social media 'to dialogue with the men and women of today and bring them to meet Christ. 'The Church's commitment to use all means available to make Christ know and loved has not changed', he said, adding that today's new means of communication are there to make the Church present to all people. 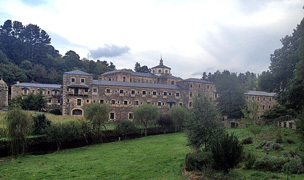 The Missionary Sisters of the Sacred Heart and Our Lady of Guadeloupe have completed twenty-five years of service with the Marist Fathers' General House community, 'Monteverde', Rome. The Sisters were first invited to Rome by the then-Superior General, Australian Marist, Fr John Jago. 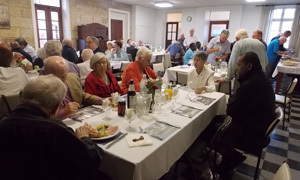 Celebrations for their silver jubilee of dedicated service were led by another Australian, community superior, Fr Tony Corcoran, at a Mass and luncheon at the General House on Sep 28. 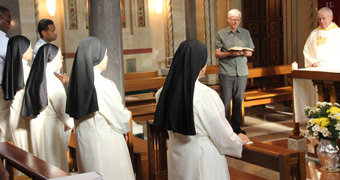 Recent Marist events include the final profession of Thilo Saft (Fr Hubert Bonnet-Eymard's homily) and Holy Name of Mary celebrations in Europe.